Now don’t get me wrong – I don’t want to come across as ungrateful. But this just isn’t the gift for me. I know nothing of ‘aviculture’ and I’m not massively fond of pears (note to ‘Mrs. B’ if she’s reading). At this stage, the guy in the big red suit already knows whether you’ve been naughty or nice – you may as well just write your Christmas list and hope for the best! And here are some absolute belters to start you off! Martin Millers: Whenever I’m asked ‘what are your top gins’, I take a deep breath as if I’m about to produce a plumbers quote. It’s not an easy one to answer! However, one thing remains a constant. The top spot belongs to what I refer to as ‘the Boss’ . Martin Millers gin. It is quite simply, in my opinion, top dog. But don’t just take my word for it. You need only to scroll through the list of accolades on their website to see that this drink is a bit special. After all, having the slogan ‘the Worlds most awarded gin of the last ten years’ doesn’t just get banded around by everyone you know. You’ll get huge aromas of grapefruit, lemons and oranges filling the space between the glass and your nose. The juniper does have a real element of strength, but my key word to describe the scent is ‘juicy’ – it makes your mouth water before you’ve even put the glass to your lips! I could quite happily drink this gin neat over ice. But for me, there is only one way to serve this. A Martin Millers gin & tonic; a premium tonic water, served over a generous fist full of ice and garnished with orange peel. Perfection. Where to buy: Most supermarkets, nationwide. You might also enjoy: Psychopomp – Wōden. Get it from their Bristol Microdistillery & www.microdistillery.co.uk. Much like Bristols very own Carol Voderman, this is a gin you can ‘count’ on. You’re going to love it! Masons: Karl and his team, at the Yorkshire based ‘Masons’, have crafted a fantastic collection of small batch gins. They have a great range, from the classic Lon don Dry gin through to their Lavender Edition gin (something very different indeed!). But for my money, and sticking to my Yorkshire heritage, their Yorkshire Tea infused gin is an absolute winner. After all, who doesn’t love a good brew?! There is a genuine sweetness to the gin that’s added by the inclusion of the Tea. This isn’t just a marketing ploy – it’s a well thought through and important Botanical in its own right, giving it a slightly drier and crisp finish. There are hints of herbs and spice, but you’ll also find strong layers of delicious citrus throughout. I genuinely picked up the taste of ‘Rich Tea Biscuits’! The sweetness really helps balance out the spicier elements perfectly. The ‘Yorkshire Tea’ Edition goes perfectly with Lemon Peel and it makes a fantastic gin & tonic. Four Pillars: A relative newcomer to the market, hailing from the Yarra V alley from ‘down under’ in Oz, Four Pillars blew me away. Its scent of fresh herbs & spice (aromas of mint, aniseed, rosemary and sweet tones of ginger) combine to suggest a great ‘winter warmer’ gin; something to sip over ice to escape a Winters night. But when you add tonic and garnish with a generous chunk of blood orange, something quite special happens. A whole host of Australian citrus notes are pulled to the forefront, creating a clean, crisp gin & tonic, with a well-balanced nature of ‘sugar & spice’. The best way I can describe this gin is ‘Fun’. It turns from a drink to warm the cockles, in to a suggestion that ‘Summer is on the way!’. Simply put; it’s superb. But now I’m going to let you in on a little secret on where you can buy great gin and look like a real gin buff this Christmas. But lean in close…’the supermarket’. No seriously, stay with me here… There has been an influx of great gins on to the once humble supermarket shelves (replacing the previous sea of blue & green of the limited Gordon’s & Bombay Sapphire offerings). And there are some superb choices out there. Bloom, Sipsmith, Hendricks (note: serve this with a cucumber garnish and you’ll make friends for life) and Portobello Road are all absolute corkers and will be a great additions to your home bar/kitchen cupboards. But if you really want to show off, Whitley Neill is my recommendation. A South African inspired gin, incorporating ‘Baobab Fruit’ (from the ‘tree of life) as a key botanical. Garnished with orange and star anise, this is an absolute must have on your shopping list! All of the gins I have referenced so far are absolute winners and I can’t recommend them enough. 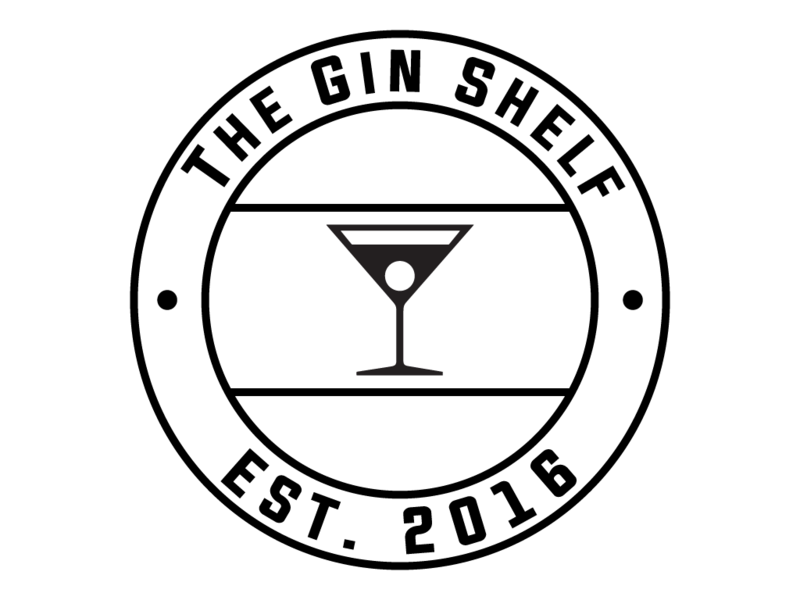 But if you’re struggling with yuletide cheer or simply want to surprise someone with something a little different, then look no further – ‘The Gin Shelf’ has you covered! Sipsmith Sloe Gin: There are loads of Sloe gins out there. Trust me – this one is fantastic! Sipsmith have always been creative pioneers and still believe in ‘small batch’ producing, impressive for a brand of their stature. This a rich and full bodied sloe gin that screams ‘it’s Christmasss!’. It has huge aromas of cooked cherries and strawberries, supported by tones of cinnamon and vanilla. Those hefty dark red fruits and cassis carry through to the taste, with an initial citrus sharpness replaced by a warming, liquor like spice. It’s velvet smooth, suggestive of an indulgent desert. This is beautifully refreshing sipped over ice or served as part of a ‘Sloe Gin Fizz’. Alternatively, mix with Fever tree Sicilian Lemon Tonic for stunning results! And for that someone who has everything?…Sipsmith’s ‘Mince Pie’ gin is well worth a mention. But you’ll need to move quickly! Limited edition 90ml bottles (£20) have been flying off the website since November. Sacred ‘Christmas Pudding’ gin: Sounds crazy right? And it is! But that’s what happens when you infuse gin with an 8kg Christmas pudding! You’ll pick up delicious scents of boozy curren ts and dark mulled fruits. There is a syrupy sweetness on the pallet, with suggestions of vanilla and brandy, perfectly balanced against spiced fruits, giving a warming and long lasting finish. And it genuinely does taste of Christmas pudding! Sure, it might be partly down to knowing what’s in it, but that’s part of the fun! This gin is an absolute triumph. Whilst garnishing with custard may seem tempting…a more traditional cinnamon stick makes for a far better G&T! I’d suggest using this in a festive Martini for best results. Edinburgh Christmas Gin: My third ‘wise’ choice is from our friends at ‘ Edinburgh’, and comes baring gifts of Frankincense & Myrrh; both have been infused in to this very clever gin! There are herbal and root spices to the aroma, suggesting a powerful heat, with liquorice & ginger dominating proceedings. But mixed with tonic, this gin transforms! It’s not overpowering in the slightest and is a lot sweeter than you’d expect. The earthy liquorice of the Myrrh and citrus & pine qualities of the Frankincense combine to deliver a winter wonderland taste of cloved oranges, blended with aniseed and vanilla. There’s even a hint of liquorice allsorts on the pallet! Sophisticated, smart and exciting, it’s a Christmas must-have! Paired perfectly with Fever tree tonic, you’ll want to use an orange garnish. And if you looking for some last minute stocking fillers, look no further than Sloemotion. With ‘Sloe Miniatures’, including their fabulous sloe gin and damson gin, available in handy box sets for around £18 you’re sure to have the whole family believing in the magic of Christmas. So there you have it – all that’s left for you to do now is to pick your poison, wrap them poorly (blame it on the gin – I do!) and stick them under the tree, safe in the knowledge that you have well and truly smashed Christmas! Merry Christmas to you all from ‘The Gin Shelf’, and a Happy New Year! Cheers.